Looking for Valentine’s Day gift ideas for someone special this February 14th? Our gifting experts have been hard at work making sure we have the perfect Valentine’s Day presents for every recipient! If you are shopping for Valentine’s Day gifts for your girlfriend or last-minute Valentine’s Day gifts for your wife have exactly what you need. 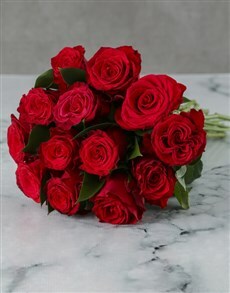 We have freshly picked Valentine’s Day red roses in a range of stunning arrangements and breathtaking bouquets. We also have other creative and unique flowers for Valentine’s Day if red roses aren’t your style. Go all out for Valentine’s Day and send your Valentine’s roses with a little something extra! We have Valentine’s chocolates for her, personalised gifts for her, and even freshly baked Valentine’s Day treats! 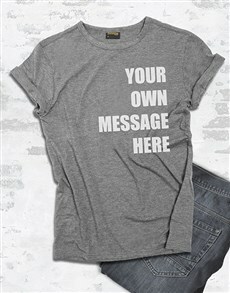 Looking for a Valentine’s Day gift for him? Choose something he will love from our carefully chosen range of Valentine’s Day gift ideas for him! Why not make Valentine’s Day 2019 personal by sending him a personalised gift? We offer all kinds of personalised gifts for him, from personalised liquor to personalised gadgets! Why not also include a delicious Valentine’s Day treat? 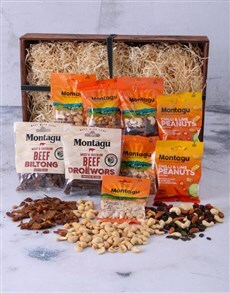 You can’t go wrong with a box, tray, or crate of Valentine's Day chocolates or a tray of his favourite biltong! Whatever gift you choose from our Valentine’s Day deals we’ll deliver it to your special someone. NetFlorist offers sameday, nationwide Valentine’s Day delivery! No matter where your sweetheart lives, NetFlorist will deliver their Valentine’s Day gift directly to them!